Home > Reed Diffusers > Reed Diffuser Oil - Kit - 6 oz. Trinity's 6 oz. Reed Oil Diffuser kits are a the real deal. This very powerful product is a great gift for any occassion. Just remove lid, insert the reed sticks and place in desired location. Reeds will allow oil to disperse your favorite fragrance without any heat source. The diffuser oil refill and reeds can also be used in most of your own favorite vases. WOW! It's Just Amazing and Powerful! This is my 2nd reed diffusion kit. I chose Lavender #137 to put in my "office/computer" room. The fragrance is very, very light and I'm still trying to decide if I would like something a bit stronger. So far, I am very happy with my kit. Trinity Candles is the best place to purchase the flavor of your choice. I was a candle shopper for my daughter, she could really go through them because they made her home smell so good. The problem with candles are the leave a residue on the walls, but pineapple is her most favorite smell. Trinity has the scents in candles and Reed Diffuser Oil as well. So I purchased the Reed Diffuser and the scent is as great as the candles and she is over joyed. Great prices for what you get also, they last a long time. Best bang for your buck is here. Thank you Trinity. I discovered Trinity candles last year and I have been using these products ever since. The scents in the Reed Diffuser Oil are just right. They do not overpower but give off a pleasant smell throughout the room. I love the jasmine, amber, and rose sent. The candles are great too. It's wonderful... Keeps the bathroom smelling like a dessert. this is great! I have it in my powder room and the smell (honesuckle) is great! at first it was super strong but it has toned down a bit and perfect! I am going to get more for other bathrooms! I recently purchased the Vanilla Spice diffuser for my home. I was wanting something would make the house smell more like fall and less like dogs. It works great! I love the clean spicy scent. the diffuser has a nice design and long lasting scent. One bottle is enough for one large room and the scent will permeate through other adjacent rooms. The baby powder- pink was not pink but that did not matter. The scent was so strong I had to throw it away. I have never had an oil or candle that was that strong. I would advise anyone not to buy this. I love these diffuser oil kits (have purchased before). 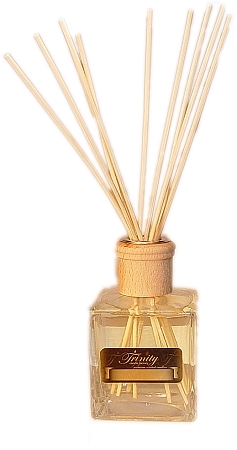 Reed Diffusers > Reed Diffuser Kit - 6 oz.